Used Bennu Winter Enclosure Kit For Sale! Used Nonstop Towers & F700 For Sale! Click here for Information and Pricing! Used Hydek/Bennu Scaffolding For Sale! (1) 24′ power unit with (2) 4′-0″ and (2) 8′-0″ wings to provide a 48′-0″ working platform. *This price accounts for approximately half of the scaffolding pictured. However, we would be willing to sell all pictured. Used Fraco 20K Mast Sections For Sale! 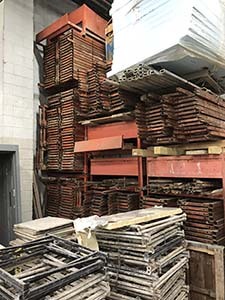 28 – Fraco 20k Mast Sections for sale. Like new condition. No bolts. Gently Used Grout Hog GPHC50 For Sale! Click here for more Information, Photos & Pricing! We are interested in Hydro-Mobile Bridging parts. Looking for four (4) 18’ cantilevers and two (2) 20’ inserts. Also interested in used M2 power units. Please contact Guy Mings, 509-727-3046. Click here for Equipment List, Photos & Pricing! Refurbished Mayco 30HD Ball Valve Masonry/Concrete Pump For Sale! Used M1 Units w/ Extensions & Accessories For Sale! Used Grout Hog For Sale! Grout Hog 13 HP Honda Motor. Works Great! Used Hydro-Mobile M1 Equipment For Sale! 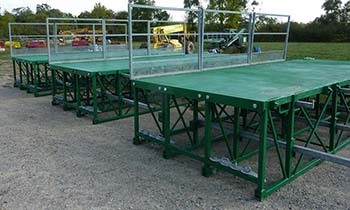 Includes: safety rails and towers/braces to reach up to 75’ above base platform for each unit. Used Misc Construction Tools For Sale! Used Hek MS 3000 Scaffolding For Sale! Click here for Equipment List & Pricing! Used – 10 Towers of Fraco FRSM 8000 For Sale! 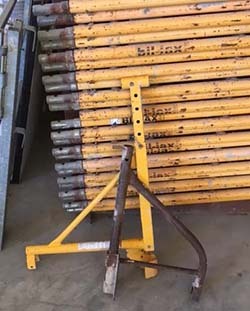 Used Mighty Scaffolding For Sale! 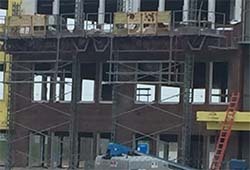 Used (5 Plank Laborer) Non-Stop Scaffolding For Sale! Used Non Stop Scaffolding For Sale! Click here for Equipment List! 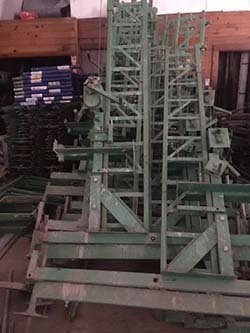 Used Patent/Harsco Scaffolding For Sale! 1,000 to 1,500 6’ frames made in the USA with all accessories. Located in Long Island N.Y.
Used Biljax Crankup Scaffolding & Traverse TL 8042 Forklift For Sale! Mason Jax – Biljax Crankup Scaffolding – PRICE REDUCED! Reechcraft Panel Jack System For Sale! 100 piece complete Panel Jack system for 10′ walls. Reechcraft system, never been used, still on original pallets. Please email Brian to see more pictures. 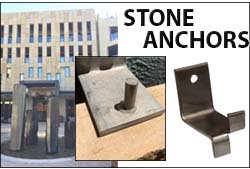 Can be picked up on site by buyer or shipped at your cost by commercial carrier of buyers choice. Asking $9,500 which is half of list price! Used HEK Scaffolding – 5 units available! Asking $10,000.00 per unit – PRICE REDUCED!